Sometimes thread can just be naughty. It can be sassy, it can be calm & predicable, but sometimes just naughty is the only way to describe it. 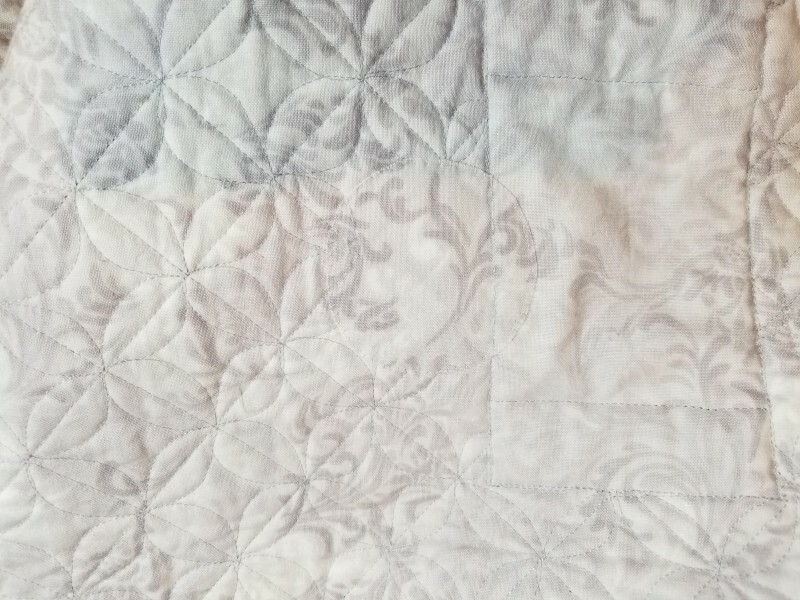 So this happened on the back of a quilt that’s quite large (100″ x 85″) or close to that, and I didn’t discover it until I began the endless miles of binding that a quilt this size requires. My next piece might have to be a more manageable size! 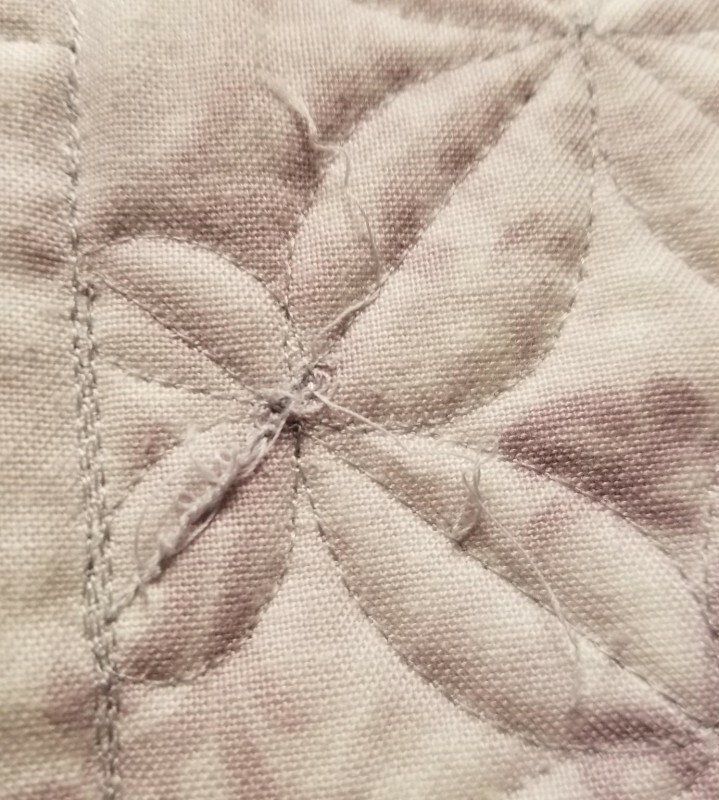 The stitching on the front of the quilt was solid, so this just seemed to be an issue where the bobbin kept going when the stitching had stopped. I’ve heard these called “bird nests” and “thread boogers” but regardless of what they are called, they can be fixed pretty easily. There was no way this was going back on the long-arm to fix, and no way I was going to wrestle this beast into my Bernina 330, so the only good choice was camouflage. Beginning with backing material, I approximated where the pattern matched, then used Heat & Bond lightweight and heat-set backing fabric to it. Then, because circles are less intrusive than squares or rectangles, I cut it out and pressed with a hot iron. OK, so it isn’t actually a perfect circle, but it works here because I just want to have it blend in with the rest of the backing. 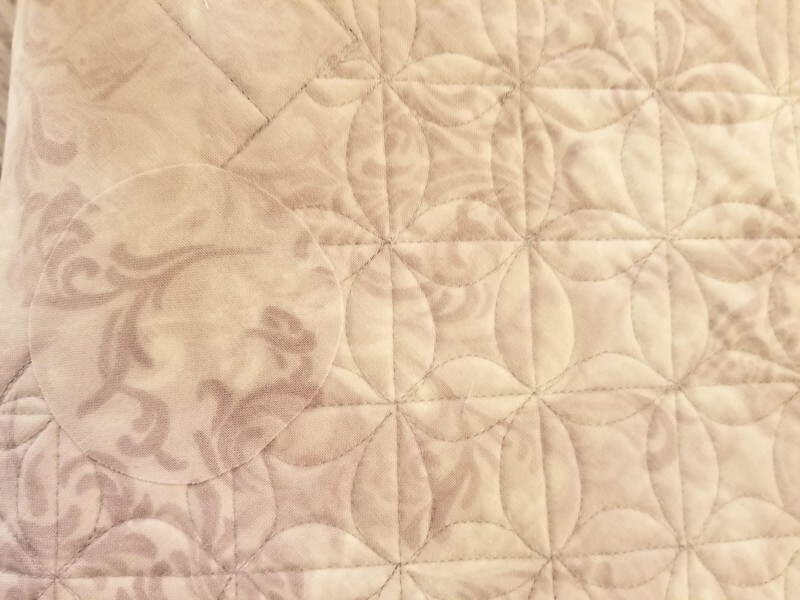 Finally, I have the “patch” heat-set on, and I just do some tiny stitches around the edge to prevent any future disasters, and will do some light stitching to match the quilting stitches. Not a perfect fix, but sometimes you just have to improvise!